Whether you’re a world traveler or an Albertan on a day trip, there’s nothing like the fresh mountain air of the Canadian Rockies. 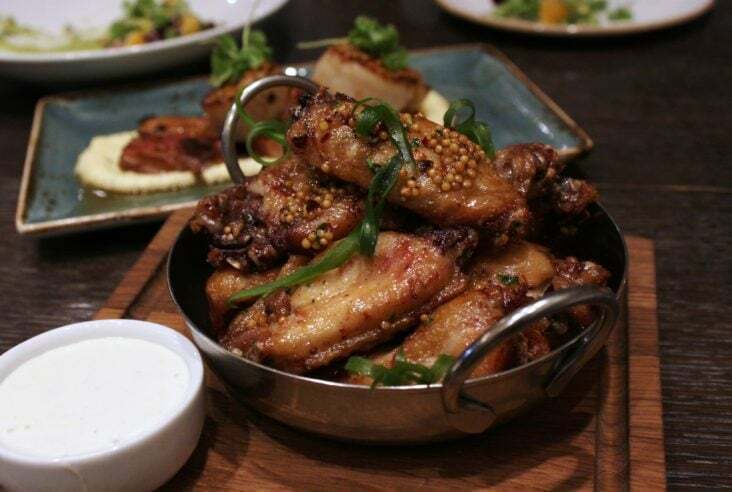 It fills your lungs, lifts your soul, and well…it makes you hungry! 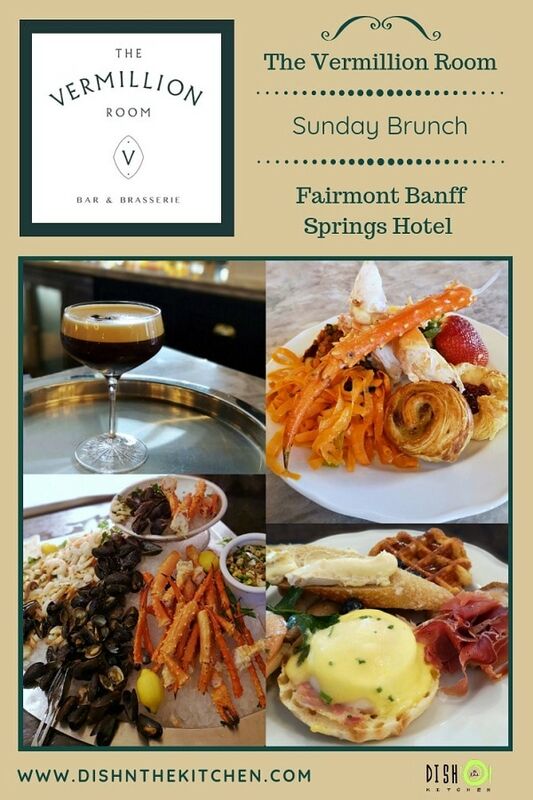 Of course there are many brunch options in Banff but the crown jewel of them all is weekend brunch at the Fairmont Banff Springs. 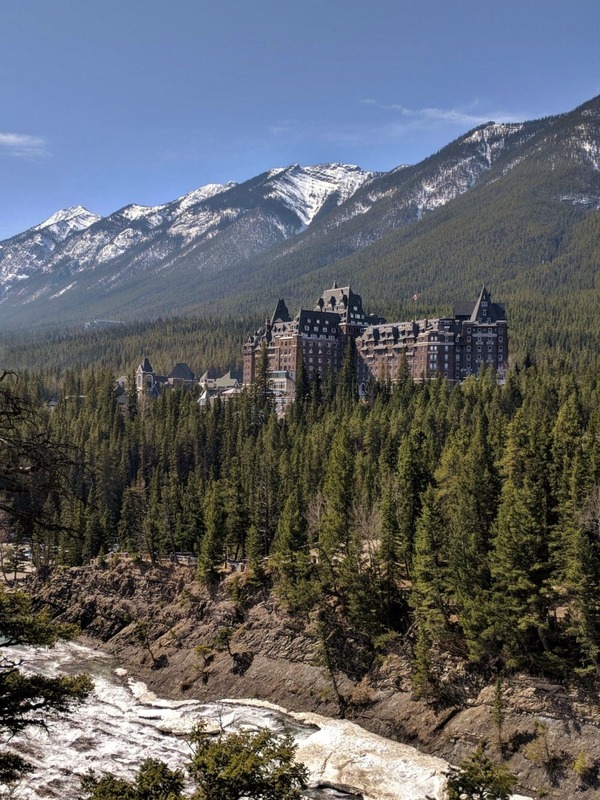 Built in 1888 in the beautiful Bow Valley, the Fairmont Banff Springs was always meant to be a destination. The Canadian Pacific Railway extensively advertised it as a mountain getaway only accessible by rail in the summer months. Winter visitors to the park were rare until the 1960’s and in 1969, the Fairmont Banff Springs welcomed it’s first winter guests. The “Castle in the Rockies” has been a Rocky Mountain destination for over 125 years. 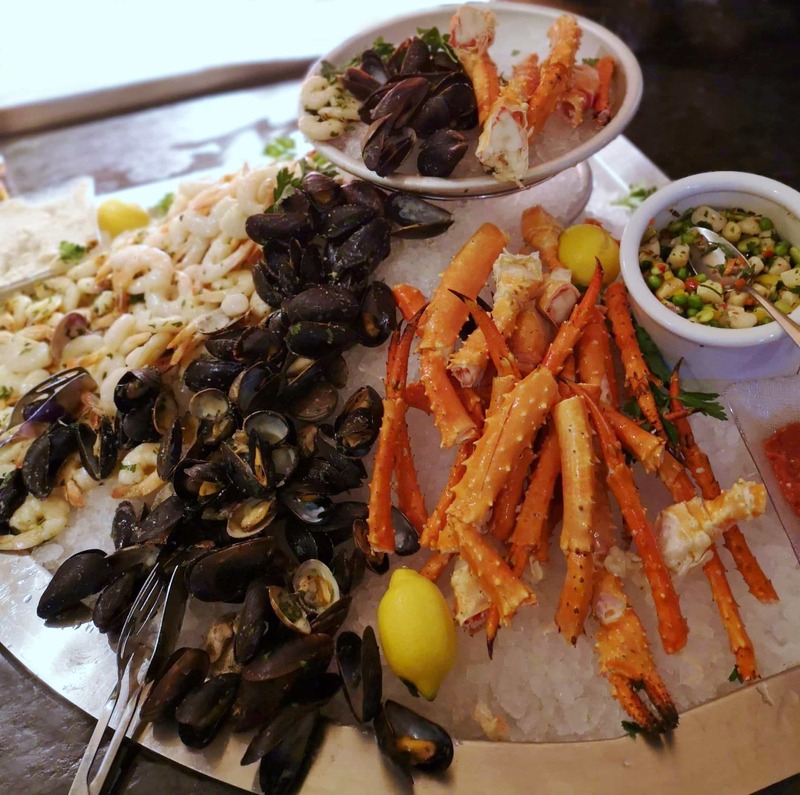 While most visitors come for the views and adventure, many more are pleasantly surprised when they find out that the Castle is also a notable culinary destination. The Vermillion Room is one of 13 bars and restaurants located within the Fairmont Banff Springs. This 250 seat French Brasserie stunner has had many iterations, it was most recently the Bow Valley Grille. The lively new space is open, yet intimate and comfortable with large windows that lead to gorgeous sweeping views of the Bow Valley. Grab a seat at the central bar for the ultimate cocktail view. 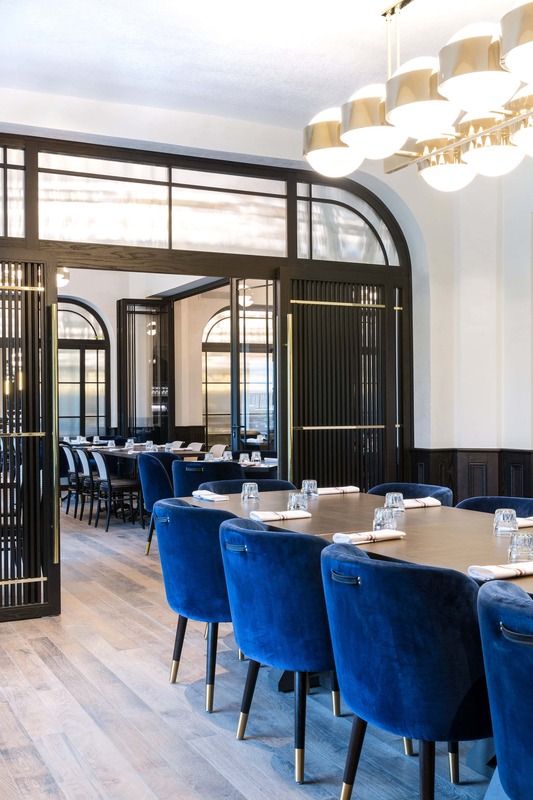 The all female firm Frank Architecture and Interiors has created the perfect French brasserie setting for guests to enjoy year round breakfast, lunch, and dinner. 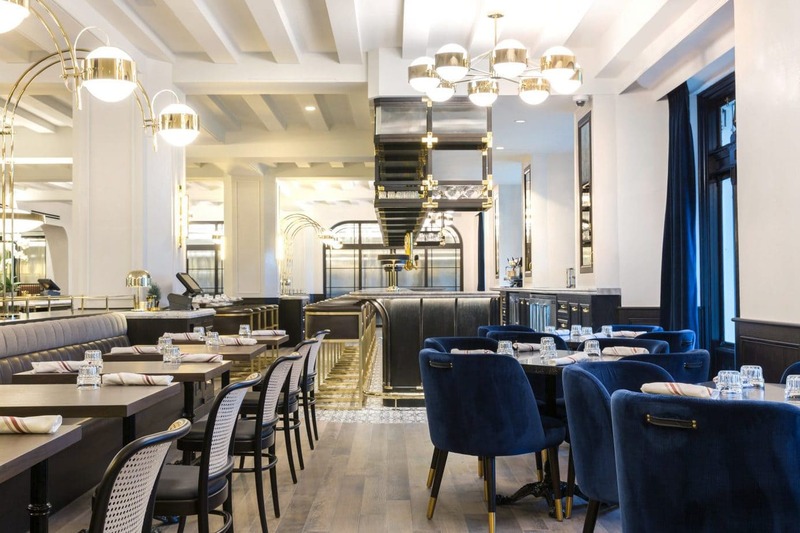 Classic French charm emanates from the many brass accents, globe lighting, and blue velvet chairs. It feels like you’re in a classic Parisian Brasserie! Lunch and Dinner menus at The Vermillion Room menu are a unique blend of Canadian inspired, classic French dishes such as the notable Bison Bourguignon but the weekend brunch is on a whole other level. 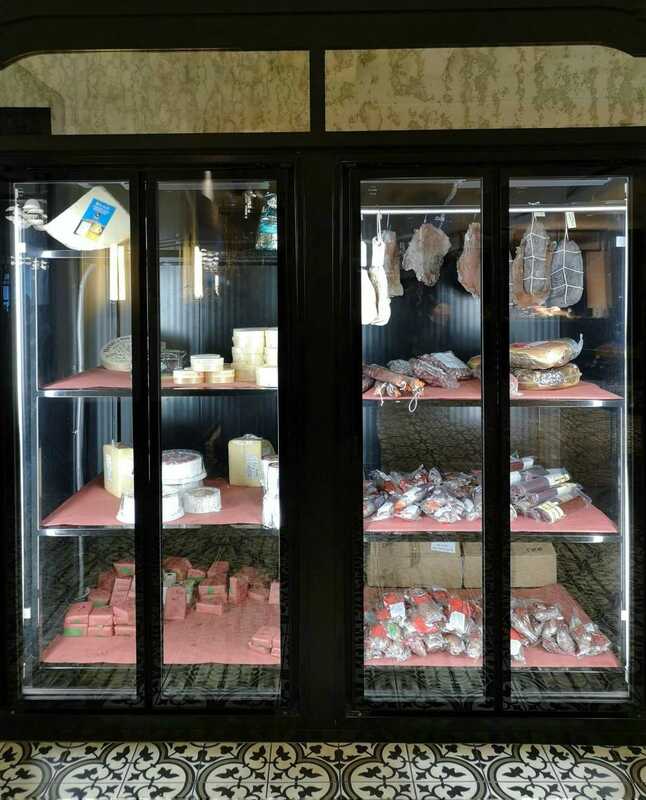 From classic Eggs Benedict and made to order omelettes to lunch and dinner items such as Bolognese Gnocchi or Cioppino there’s so much to choose from. 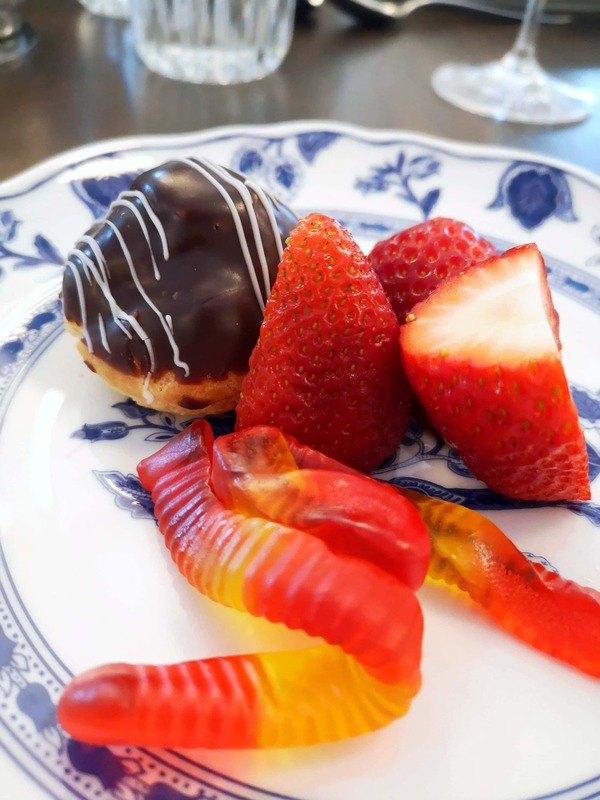 Sometimes it’s a bit overwhelming and many of us revert back to our childhood…I saw so many kids walk by with plates of gummy worms and I had to have some too! Fresh fruit, an array of stunning cheeses, and those famous Fairmont breakfast pastries are too irresistible to pass up. At least I couldn’t! 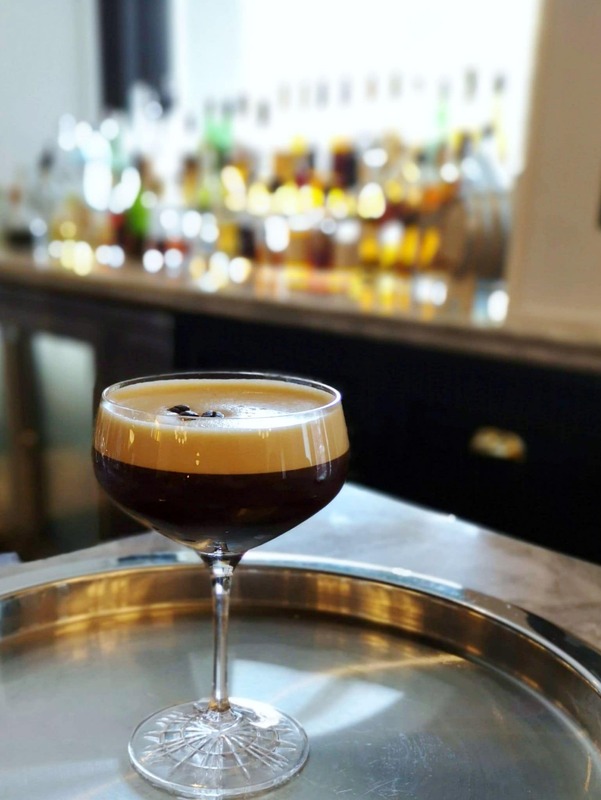 There’s more than one thing that keeps people coming back to The Fairmont Banff Springs. 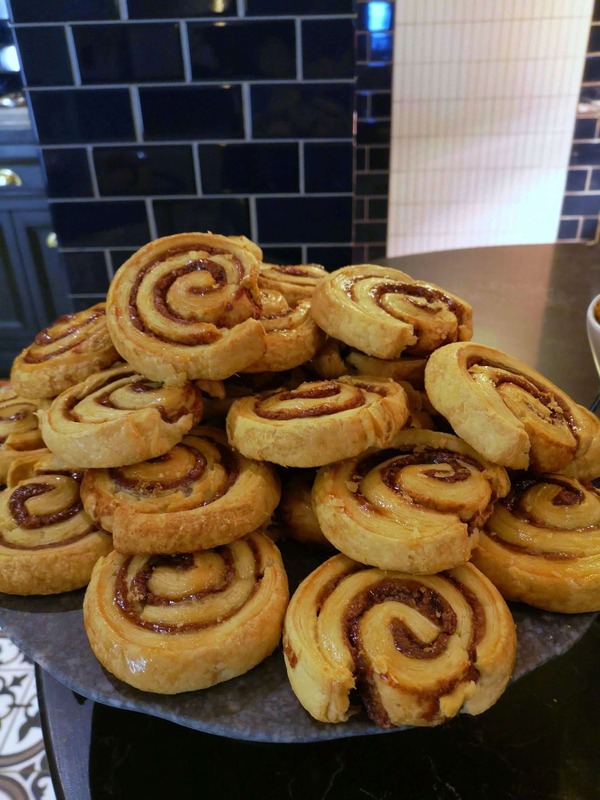 It’s not just the food, or the view, or the history…it’s the hospitality. Whether you’re a guest or a day tripper, that genuine welcoming feeling is the same. Our server, David, was attentive and personable. He told us that he was originally from Ontario, but had been in Banff for six years. He also warned us that he was a bit of a coffee pusher…and kept our mugs topped up the entire time. Every dish that he recommended was delicious, including the in-house made chicken breakfast sausages. 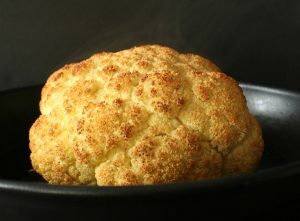 Weekend Brunch at The Vermillion Room is very popular and reservations are definitely recommended. 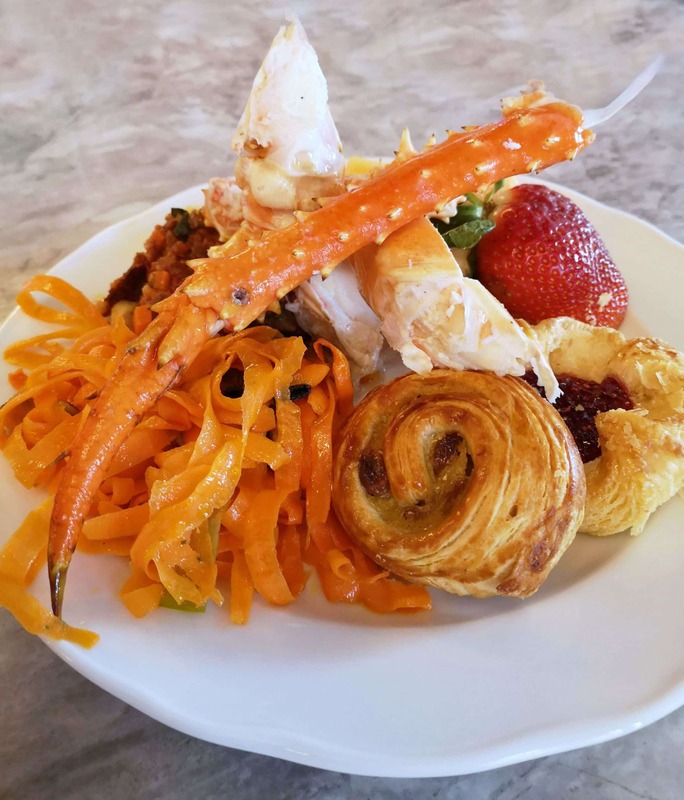 You may have to wait for some of the more popular items, like the crab legs, but you won’t be waiting for long.